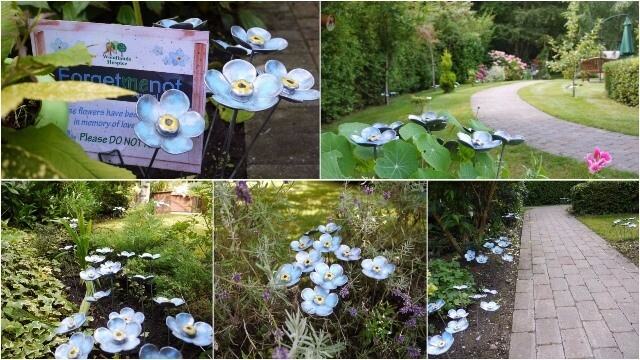 Woodlands Hospice holds an annual ‘Forget-Me-Not’ Appeal each year, which allows members of the community to dedicate a special, handmade, Forget-Me-Not flower in memory of a loved one. The beautiful flowers make a wonderful keepsake and can be used to decorate the gardens of family or friends or even the resting place of a loved one. Memories make life so special and the “Forget Me Not Appeal” is a wonderful way for us to remember special times with Billy who is no longer with us. All of our family travel to meet up at Woodlands which is a lovely way for us all to be together, show our support for the appeal and donate to such a worthy cause. 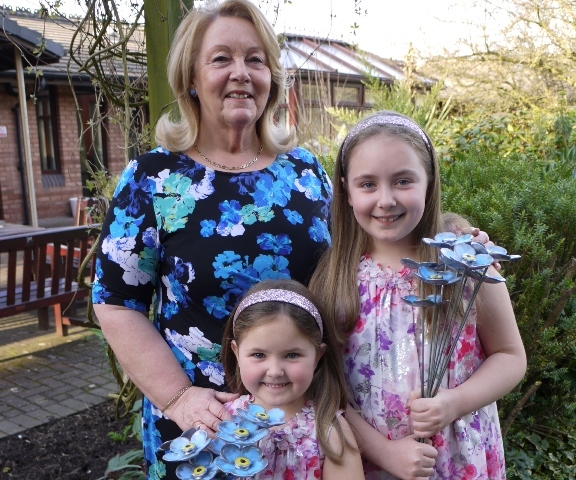 The money raised is so important as it helps Woodlands provide exceptional care and support to families like us which is a tremendous help during really difficult times so we were delighted to hear that the Forget-me-not appeal has raised nearly £12,000 with over 800 flowers being dedicated. You don’t have to experience the kindness of Woodlands to get involved anyone can dedicate flowers for their loved ones so please watch out for the Forget-me-not appeal next year. The appeal will always hold a special place in our hearts and as a family we will always endeavour to support Woodlands Hospice in any way we can. We know the next big appeal at the Hospice will be the Light up a Life appeal leading up to Christmas and we hope lots of people choose to help the Hospice by dedicating lights in memory of loved ones or to special people who they cannot be with during the festive season. The staff and supporters of Woodlands Hospice would like to thank everyone who supported our Forget-Me-Not Appeal this year.